Creative Guy Publishing is a small publisher in Vancouver Canada, which has put out a number of noteworthy titles since 2002, including the Amityville House of Pancakes series, numerous chapbook, audiobook and ebook novellas, Tales of Moreauvia historical SF magazine, and many more unique publications. At CGP we bring you the unusual, but not the alienating. We hope you'll stick around and find something you like. 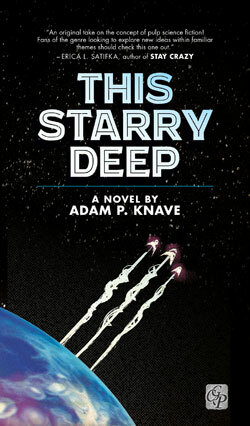 This Starry Deep hits the shelves, finally!